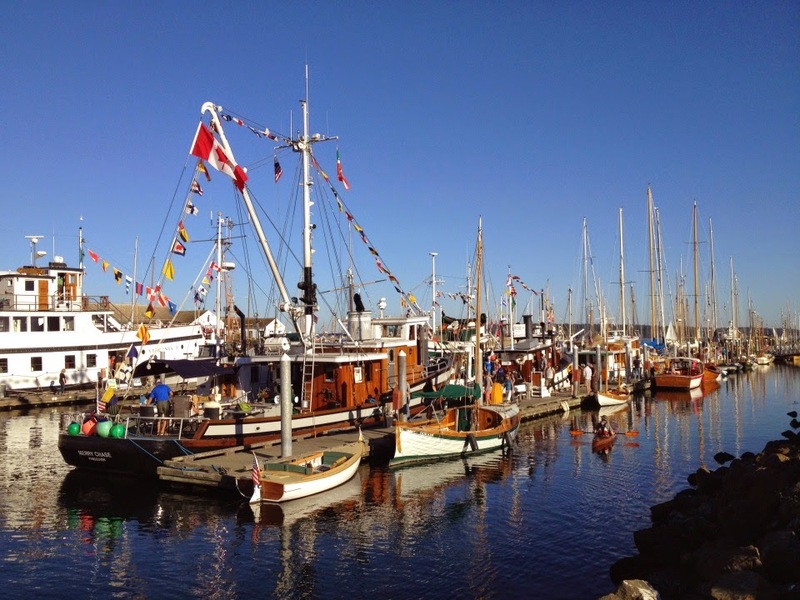 friends, we've been "stuck" in friday harbor for two days. we decided to do some work on the boat that we just didn't have time for in the last... year (!) of course, this means 14 trips to the hardware store, and the grocery, and the parts store and... we've been tieing up to a mooring ball at night, in a small cove south of friday harbor. we call it "Happy Harbor" there is a "Poop Dock" out there, and "Buoy Island". there is a de-masted sailboat nearby. the guy came over in a dingy the other day and said a few peculiar things to us and left. we call him "Jammer" and have invented all sorts of horrible stories about him. all of this i can explain more next wifi, as i have to get back to the boat, or we'll never get out of here today and jeff bought 200$ worth of fishing gear to try to live the fantasy of actually catching fish. have to get around san juan island by high tide this evening. friends, a posting of a different sort. we're on a boatcation for 10 days. heading for the gulf islands of canada. time to chill out, hang out, motor around, sleep late. been busy all day everyday for weeks between working at the school and boats and just stuff-to-do. but now, we're on BOAT TIME! 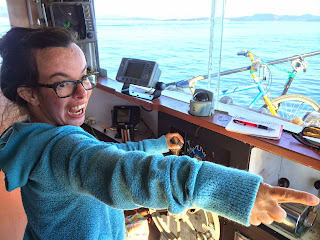 kristen and i drove the boat up to port townsend on friday. bashing into the wind with 1-2 foot wind waves crashing over the bow. settled down in the evening. anchored in 40 ft of water amongst a bunch of other boats. lazy getting up sat morning, and spent all day at the posrt townsend wooden boat festival. lotta nice boats out there. all that varnished wood. thousands of hours or sanding and coating. nice to look at, but i'm glad i'm not doing it. 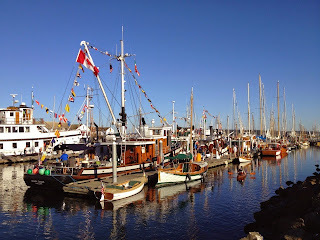 i geet out on the engines - old diesels and a three stage steam engine on the Virginia V. port townsend is in full summer tourist event bloom, lottsa coffee, ice cream, book, art, crafts and cloths shops. been here in the winter too. very dead then. jeff is coming up to join the boat today, he had an art festival to attend, so he bussed up from seattle. we were going to leave this afternoon and cross the strait to the san juans, but theres a small craft advisory out there, so i'd rather not. we'll hang out here till tomorrow and see how it's going then. boat time remember?